A new frameless patient registration module for the neuromate surgical robot, the neurolocate 2D module, has obtained a CE mark. Renishaw will now offer the neurolocate 2D module to hospitals across Europe to help save time and costs by realising the benefits of intraoperative imaging. The new neurolocate 2D module builds on Renishaw's neurolocate 3D module, which offers the same functionality but requires an intraoperative flat panel CT system, such as the Medtronic O-Arm. Instead, the new module requires just two X-rays to register patient position against the robot, reducing the need for costly equipment and also reducing radiation exposure. The neuromate stereotactic robot can be used for a range of functional neurosurgical procedures, including electrode implantation for deep brain stimulation and stereoelectroencephalography (SEEG). It also has applications in biopsy, neuroendoscopy and research. 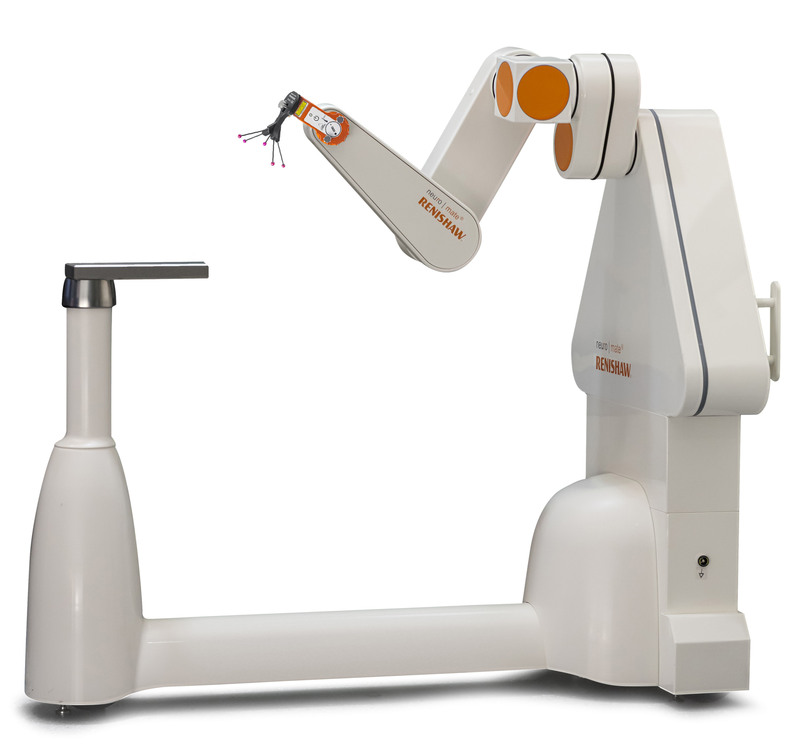 Renishaw's neurolocate modules allow the surgeon to accurately determine the position of the patient relative to the neuromate robot. The modules allow the patient to be brought directly into theatre on the day of surgery, saving time and money for the hospital and reducing procedure time for the patient.